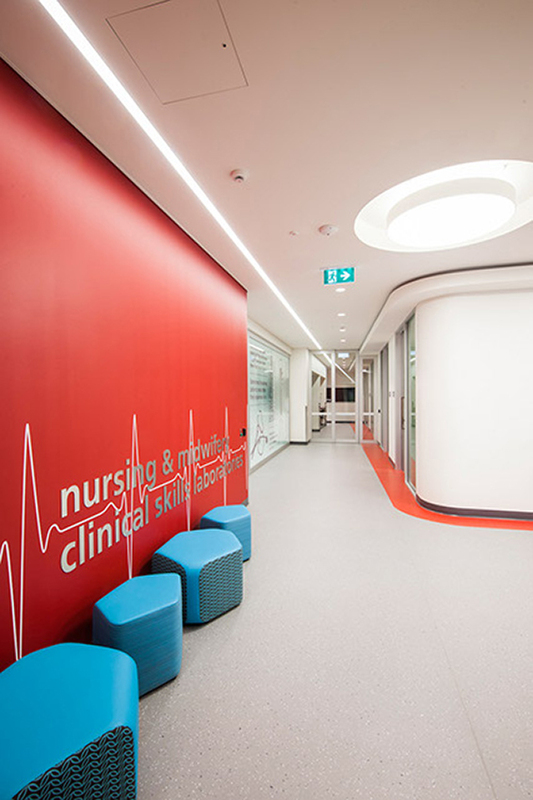 Full interior design service for the upgrade of the School of Nursing and Midwifery including Royal District Nursing Clinic. This teaching floor aims to provide a dynamic learning environment – flexible, visible yet acoustically sound. The showpiece simulation areas and equipment will be displayed to visitors, whilst recreating an accurate hospital ward experience for the students.